SMALL ANIMALS, new products include: The Kapok Build-a- Series (Kapok Build-a-Bed + Kapok Build-a-Hut + Kapok Build-a-Nest) from WARE Pet Products is the softest bedding created to keep small animals SO cozy. Eco-friendly, the packaging for these actually transforms into the product itself...turning into a bed, a hut or a nest. Each product is printed with vegetable based inks making this product convertible, efficient and safe to chew. 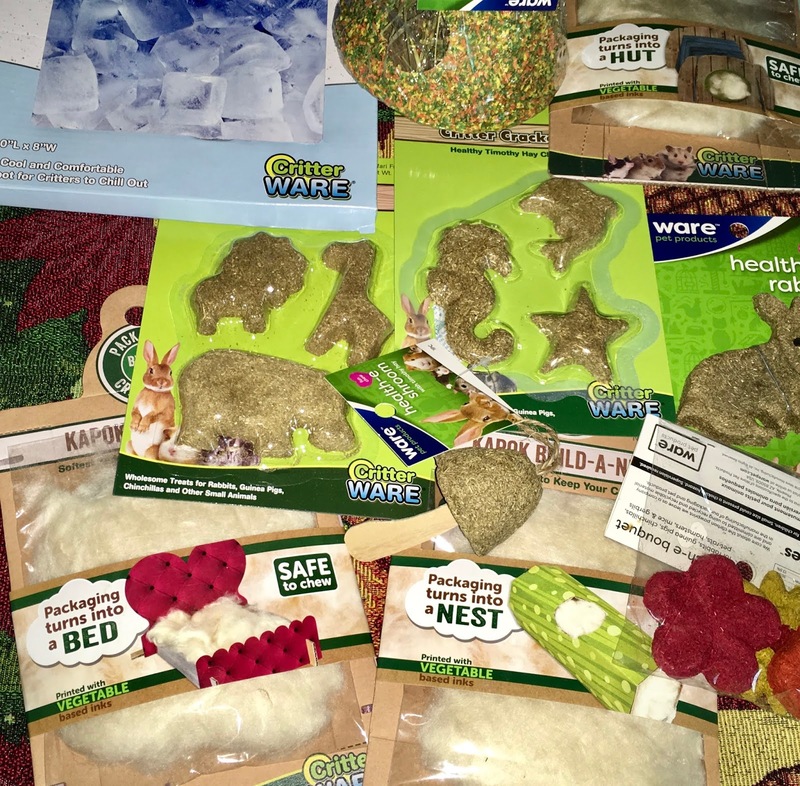 Cassandra's Review- I want to send a huge thank you out to Charli and Ware pets for sending my family really great products that help the small animals we care for. The products are well made and are a joy for my animals to enjoy.